Last Fall, after Chris knit himself a simple garter stitch striped scarf in shades of grey, I was reminded that despite it's simplicity, a garter stitch scarf is pretty much the most perfect scarf ever. As a teenager, I knit loads of scarves, I think that they were the only thing I knew how to knit. As I grew as a knitter I moved on to more interesting things like sweaters and lace. 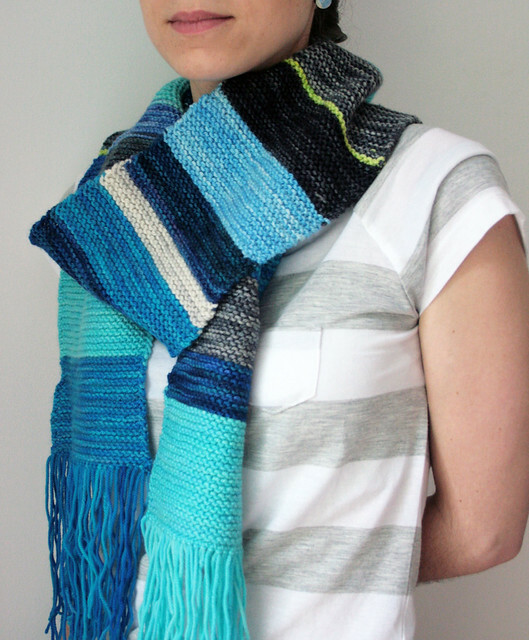 But the simple garter stitch scarf is just so perfectly comfy and cozy, squooshy and textural. It wraps around your neck and kind of sticks to itself to stay put on cold winter days. 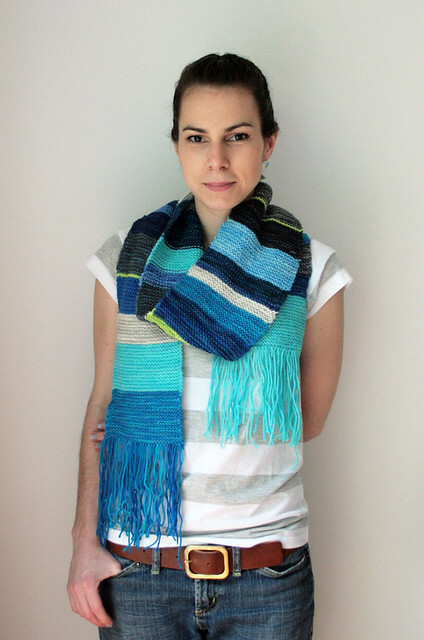 It's the perfect foil for stripes of your favorite colours, I cast on 31 sts (don't ask me why, it's not a magic number) and just knit, switching colours as I pleased, using mostly blues and greys, but adding in a pop of chartreuse for fun. This will be my go-to scarf next winter. Knit in TFA Yellow Label DK Weight yarn on 4.5mm needles.